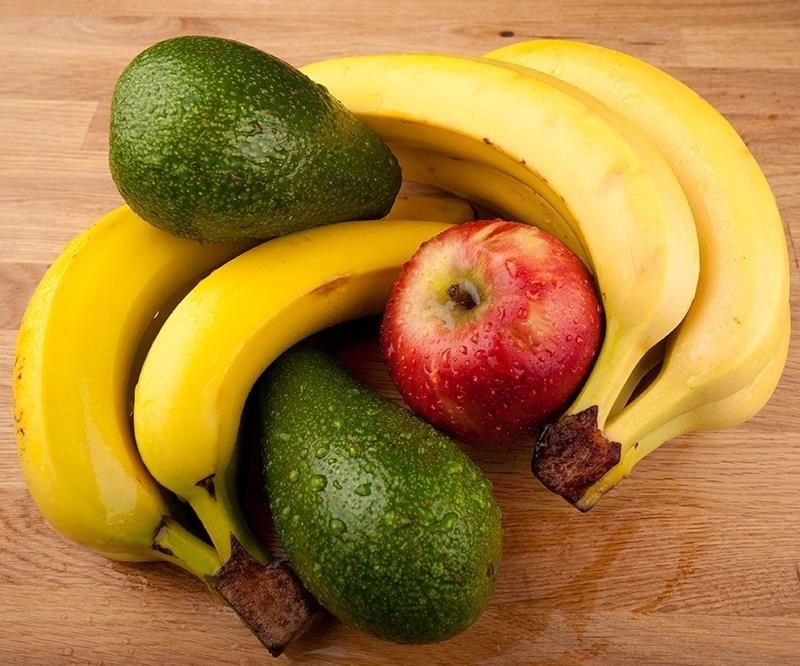 Chances are, you've been storing food improperly your whole life causing it to rot sooner than it should, or simply not giving it enough time to ripen. Either way, those are your hard-earned dollars that end up in the trash instead of in your belly. A report from the National Resources Defense Council estimates that the average American throws out about twenty pounds of food per month. According to their statistics, that amounts to almost $2,275 annually per family of four. That's money that could be saved or used on a pretty nice vacation. The cool air in your fridge stops food from decaying by ensuring that bacteria doesn't have the proper environment to reproduce. Generally, the warmer a place is, the quicker organic matter rots. However, putting certain fresh foods in the refrigerator will affect their taste, texture, or prevent them from ripening properly, so some fruits and vegetables that you might think need to be refrigerated actually do better on the counter (at least for a few days). After you've finished with this guide, make sure to head on over to my followup on using your freezer correctly to master the whole appliance. If you keep finding weird brown sludge in your vegetable crisper a few days after coming back from the market, you might be storing incompatible fruits and vegetables together. Many kinds of produce emit ethylene, a type of gas (also known as the "ripening hormone," as they ripen. Keep these foods separate from non-ethylene emitting foods, and you'll get less waste. Some examples: most stone fruits like nectarines and peaches, bananas, apples, melons, avocados, and tomatoes all emit ethylene. The aforementioned stone fruits, bananas, melons, avocados, kiwis, and pears should all be left outside, out of direct sunlight, until they smell and/or feel ripe. Then they can go into the refrigerator to extend their lifespan without affecting their tastiness. Pro tip: For guacamole, put a little water on top before storing in the fridge to keep it from browning. Other types of produce need to chill out at once. Most berries, cherries, figs, plums, corn, grapes, root vegetables (radishes, daikon, turnips, parsnips, beets) should be put away in perforated bags or containers that allow a little air to circulate. 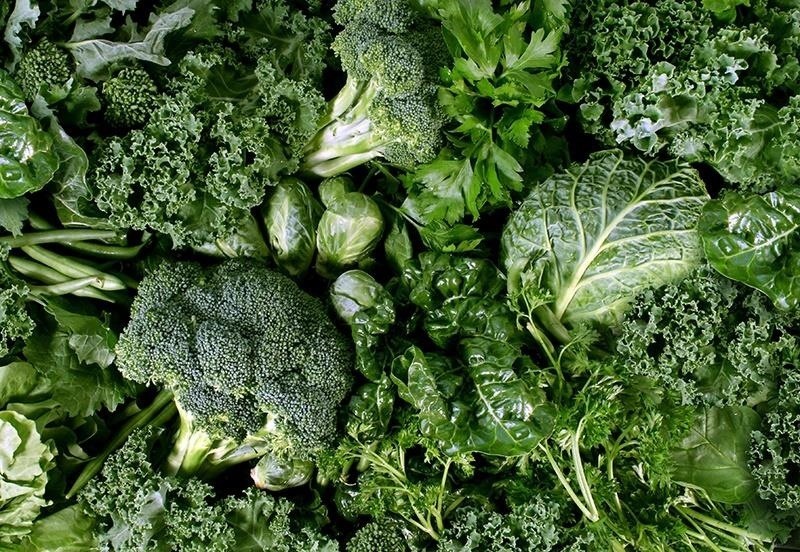 Veggies in the green range (lettuces, leafy greens, Brussels sprouts, broccoli, green beans, spinach, and fresh herbs) should be refrigerated. Some items, like asparagus, have special needs of their own. Trimming those green stalks and storing them upright in a container with water will keep them fresh longer. Most folks recommend that lemons stay on the counter, but The Kitchn votes that they go in the fridge. I have to agree. 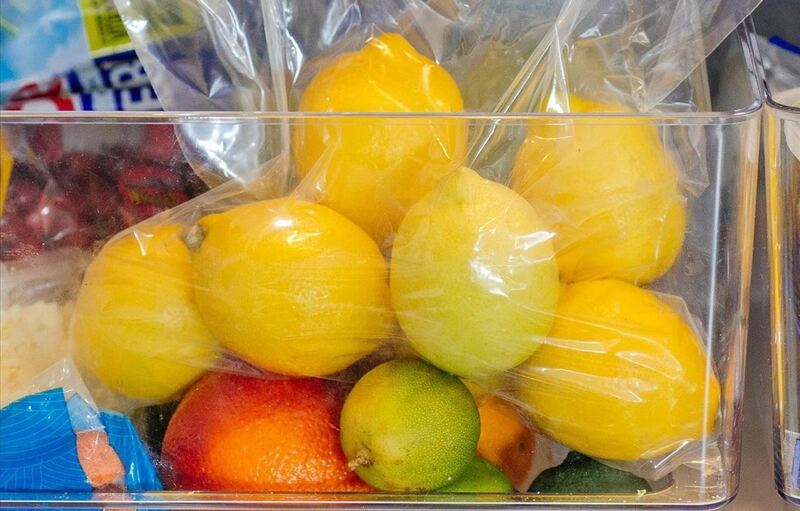 Even without the plastic bag, my refrigerated lemons have lasted up to six weeks. 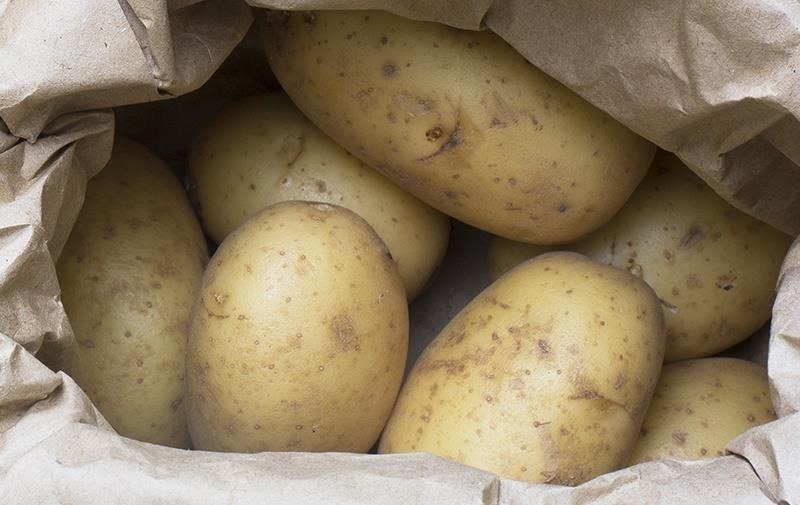 Some items, like potatoes, should never be refrigerated, since the cool temperatures will turn the starch in them into sugar, adversely affecting their flavor. They should be stored away from other items in a cool, dark place, since they also emit moisture and gases that can cause other foods to rot. 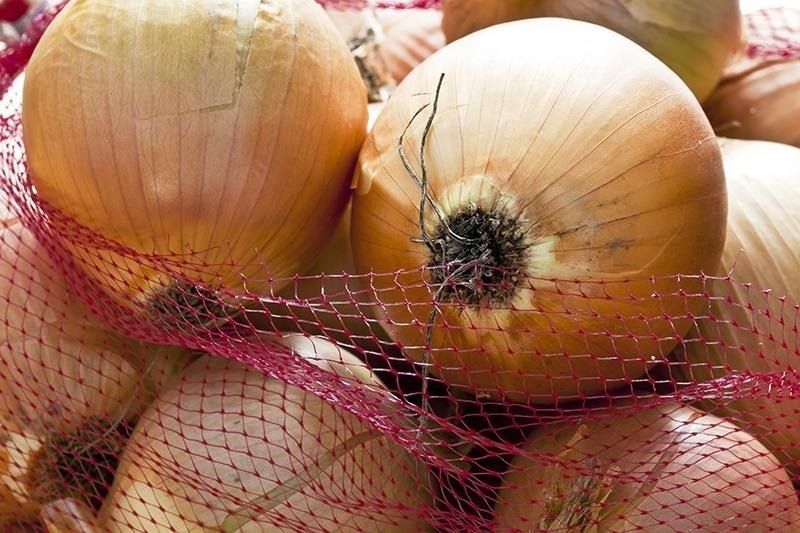 Onions should be kept in a mesh bag, since the circulating air helps keep them fresh, but be stored outside as well and kept away from potatoes. (The moisture and gases potatoes emit will cause onions to rot.) The same goes for garlic. Also, once you've chopped your garlic, you should use it within a week. Eggplants and squashes can also be stored in a cool, dry place outside. Keep fruits and vegetables whole—don't pull stems out or peel off stickers, which might take away a little skin. 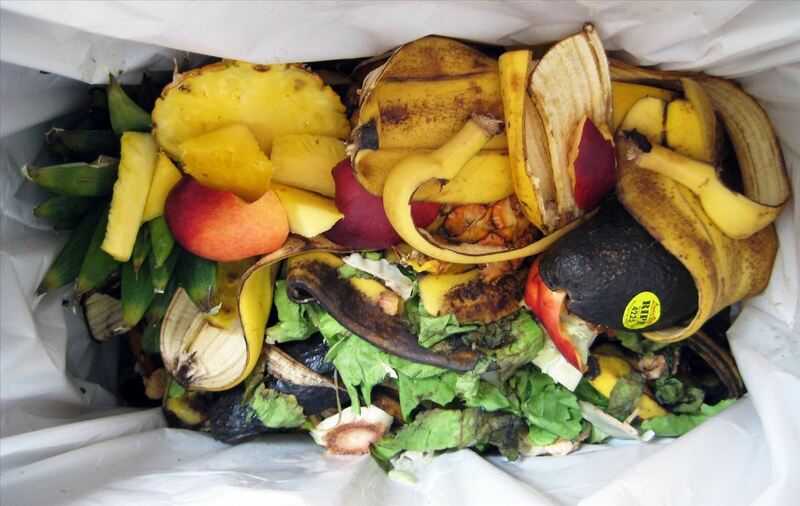 Once you break the cells on a piece of produce, microorganisms can start to reproduce and speed the process of rot. Many chefs and culinary students recommend wrapping leafy greens and fresh herbs in a microfiber cloth or dishtowel before putting them in a bag and storing them in the fridge. The cloth will absorb excess moisture and give arugula, kale, chard, fresh basil, and rosemary a few more days or even an extra week of life. When it comes to dairy products like cheese, things get a little more complicated. Check out our guide to keeping cheese fresh and mold-free for help on that. If your cheese, or any of the fruits and veggies listed above do end up moldy, it might be possible to salvage them. 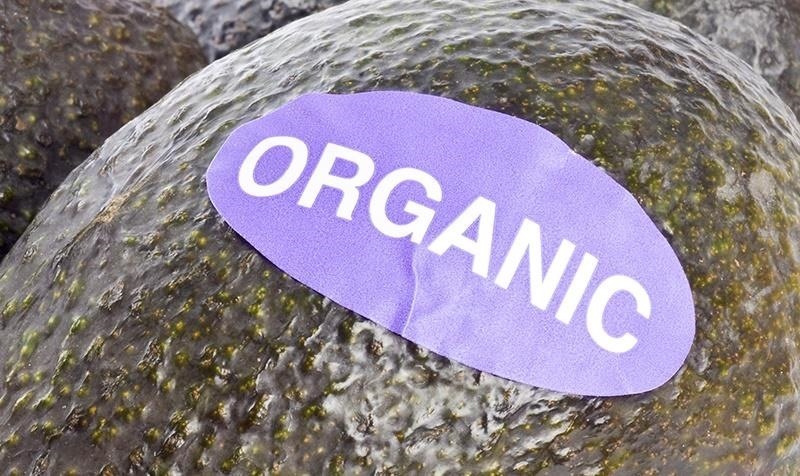 What tips and tricks do you have to give your produce a longer shelf life? I've recently solved my sprouting garlic issue. Keep garlic away from heat and light in a food grade container with dry rice to keep out moisture. Dry rice—that's great. I was thinking about more ways to use it other than to keep the salt in the shaker from getting clumpy. Good info, thanks! Also I've found for myself that making the paper towel damp before wrapping the leafy greens into it works even better. I have had great success with the longevity of Celery and Lettuce in the fridge. I used to use Tupperware Celery and Lettuce containers but found I only needed a plastic bag, so I gave them away. For the Celery, just cut off the bottom and cut it into the size pieces you like then rinse under cold water and drain (don't dry). Place wet, in a plastic bag and keep in the crisper section of the fridge. It will work just on a shelf too. For the Lettuce, cut the core out then fill the lettuce with cold water, pulling the leaves away from the centre a little, to make room for the water. Drain well but don't dry and place in a plastic bag in the crisper.